Sandy Feet Rum Company was founded by husband and wife, Jonathan & Paula Himmelwright. 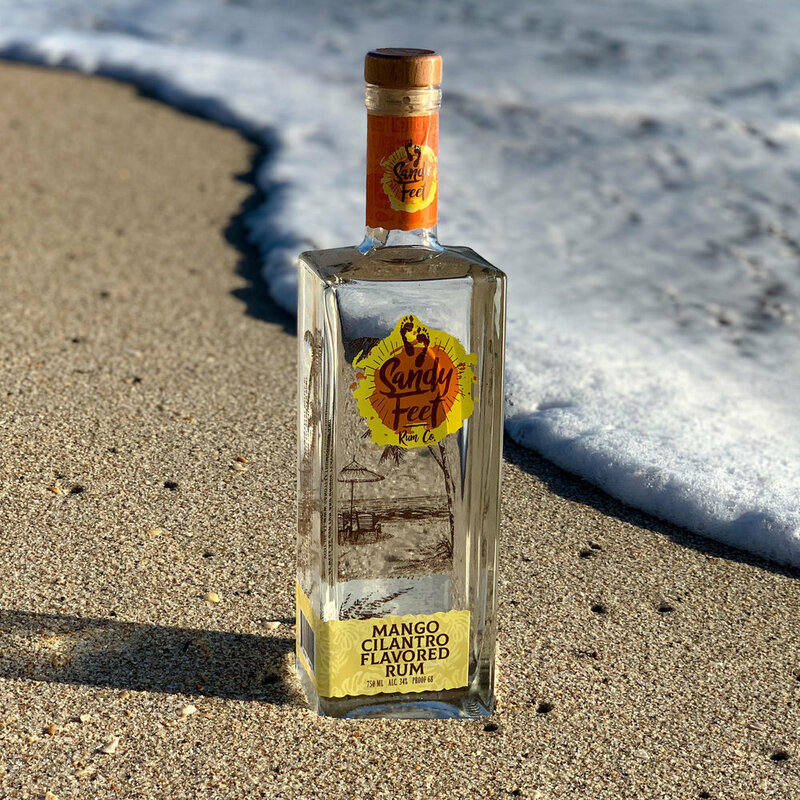 After a chance visit to a small distillery in 2017, and a conversation on the beach the following weekend, Jonathan and Paula made the bold decision to start a Craft Rum Company. Based in the small Florida beach town of Lauderdale By The Sea, their brand was truly founded with sandy feet. Jonathan and Paula have always enjoyed finding people who are passionate about what they do. They believe that passion is what brings about the very best in people, products, and experiences. In their travels, they constantly seek places, people, and products that exhibit this trait. With this in mind, Jonathan and Paula are bringing that same passion to their small batch craft Rum. Quality, Passion, and Fun is what goes into every bottle. Brand focus will be driven by two distinct lines of products. Barreling Projects - A very limited release of Rums, both Sugarcane and Molasses based, which will be aged in various barrels we find during our travels. Specialty Flavors - These will be primarily Caribbean Style Rums with unique all natural flavors and flavor combinations. The brand will also be supporting charitable efforts in Fort Lauderdale as well in other coastal communities around the country as the brand expands. Initially, a portion of proceeds will go to the Sea Turtle Rescue effort in Broward County. Jonathan & Paula invite you to join them on their journey by joining the Sandy Feet Rum Insiders Club. It’s FREE and provide early notice of special events, tastings, and new releases. The fresh flavor of juicy Florida Haden Mangos with just a hint of clean Cilantro. Perfect for sipping on the beach or in a cocktail. 68 Proof. Pure sugarcane Rum rested in New American Oak Barrels. The color of light caramel with a super smooth finish. No added sugars or color. 80 Proof. WE HAVE SOME ADDITIONAL NEW FLAVORS IN THE WORKS ALONG WITH SPECIAL LIMITED EDITION BARRELING PROJECTS..
Sign up with your email address and get access to exclusive offerings, events, tastings, and advance new product availability. We respect your privacy and will not sell, share or stalk your information. CONGRATS! 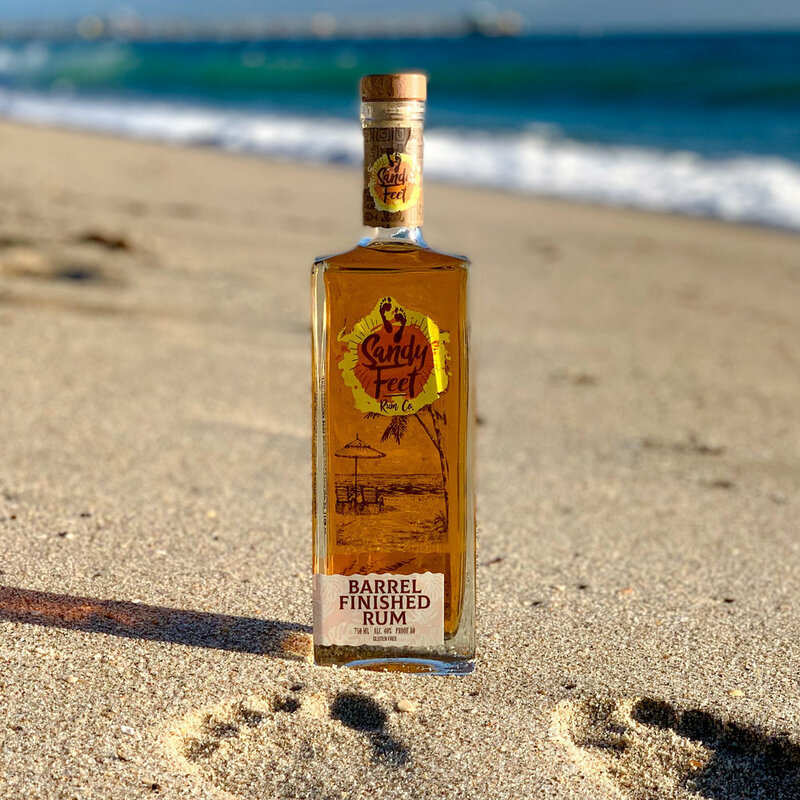 You are now an official Sandy Feet Rum Insider.